Lithonia Lighting Affinity® AFN Series Architectural emergency light has 12-Watt incandescent/LED lamp. Emergency light has black die-cast aluminum housing. It has voltage rating of 120-Volts/6-Volts and current rating of 0.11-Amp. It uses maintenance-free NiCad battery with automatic 48-hour recharge after a 90-min discharge. It helps in preventing over/undercharging that shortens battery life and reduces capacity. 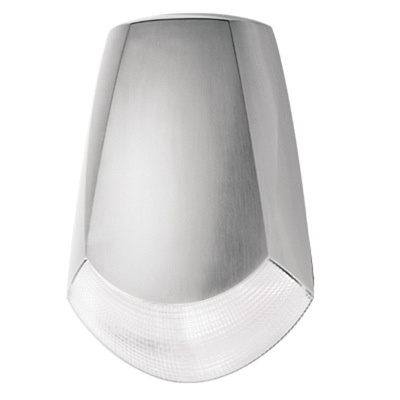 Wall mountable light has a dimension of 9-1/2-Inch x 6-1/2-Inch x 2-7/10-Inch. It is ideal for automotive/parking, offices/banks, retail, sports/recreation and warehouses. It withstands temperature rating of -18 to 50 deg C. Emergency light is UL listed and NFPA/NEC/OSHA standards.